The singer kicked off the night’s performances with an acoustic rendition of his Purpose single. 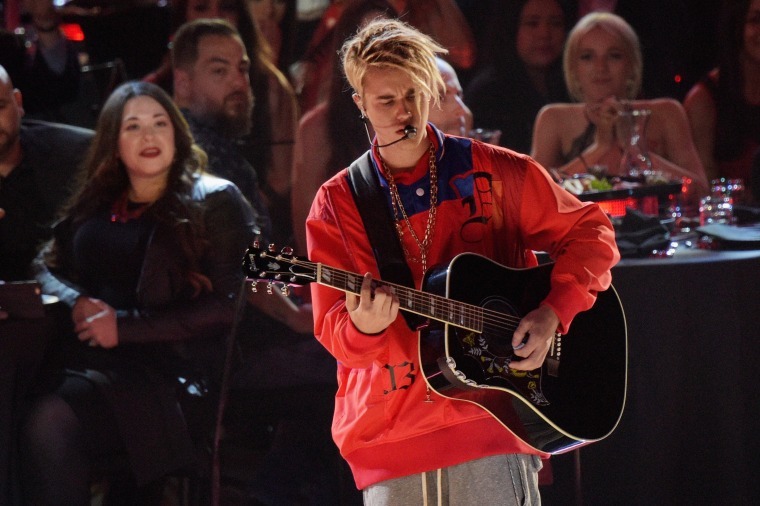 At this year's iHeartRadio Music Awards, hosted by Jason Derulo, Justin Bieber kicked off the night's performances with an acoustic version of "Love Yourself," followed by a upbeat dance performance of "Company." In the clip, Bieber can be seen trying out a new dreadlock hairdo and baggy clothes accompanied with a couple of chains—setting the bar for performances to come from Iggy Azalea, Zayn Malik, and Fetty Wap. Watch below.